We have all heard the familiar saying when it comes to picking out real estate: location, location, location! Well, today’s homify 360° highlight definitely has the location part down: Cape Town, with its fantastic natural landscapes and relaxed lifestyle ambience that serves as the backdrop for many dream homes – including these 3. Yes, today we are sneaking a peek at 3 designs from the professionals over at Kunst Architecture & Interiors to see what fantastic creativity (and gorgeous style) they are capable of. First up: The R7 million Oranjezicht house. 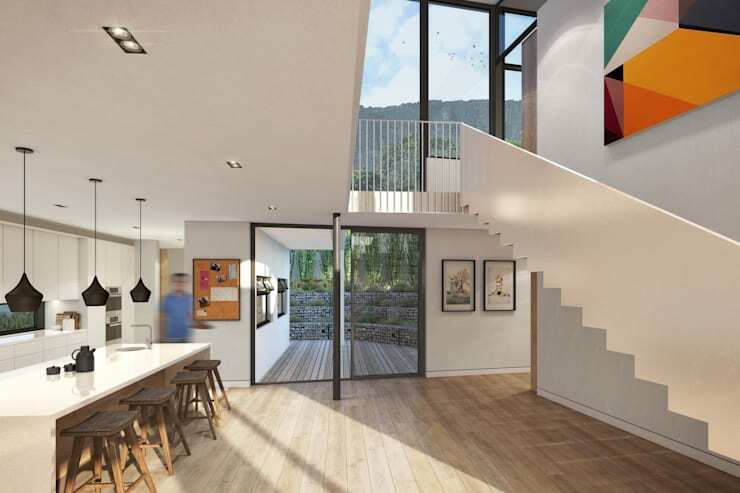 Even though it’s only a 3D rendering, we can definitely see the potential of this double-storey design. Spacious terraces and balconies to make the most of outdoor socialising; a wooden deck neatly framing the back portion of the house; a pool; a gorgeous lawn and garden; and a neat, modern build for the residence. Even though the interiors are just as neutral and stylish as the exterior façade, we are introduced to a splash more vibrant colours via select décor pieces. And here in the open-plan kitchen, which opens up fabulously onto that wrap-around porch, we have more than ample space to ensure a sociable time for both residents and guests. 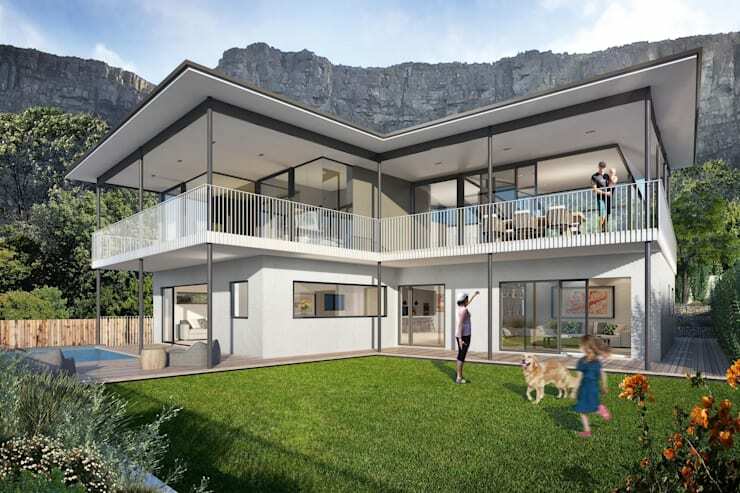 On to the next creation, the beach dream house in Camps Bay that provides world-class views of the Atlantic. Our final discovery comes to us from Woodstock, which also provides a neutral interior colour palette with the occasional popping tone here and there. 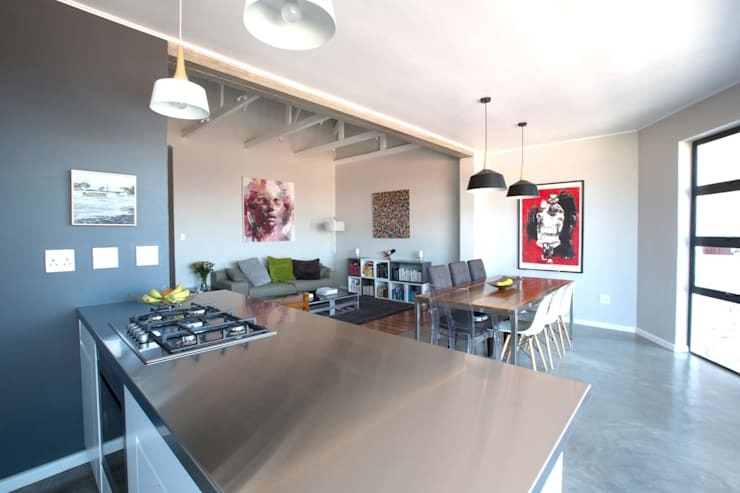 But how practical is this open-plan layout of the kitchen, dining room and living area? All three spaces are neatly set up in an L-shape layout for practical purposes, with each area enjoying its own set of materials and décor pieces. 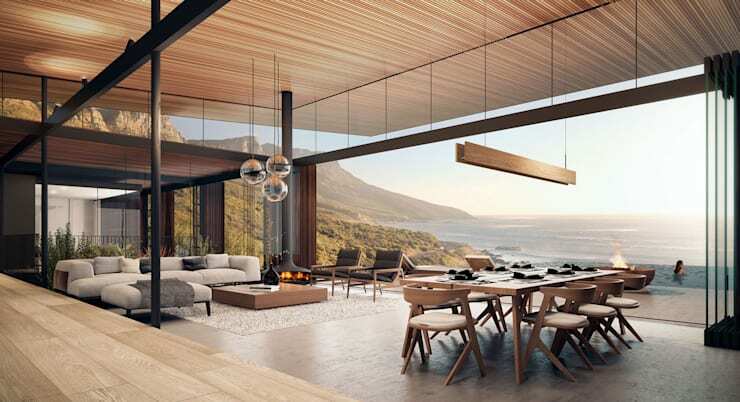 For another Cape Town gem, have a look at The spectacular cliff house in Cape Town. Which house would you like to see more of?